Farrar, Straus and Giroux, 9780374262327, 288pp. Tim Winton is Australia’s most decorated and beloved novelist. Short-listed twice for the Booker Prize and the winner of a record four Miles Franklin Literary Awards for Best Australian Novel, he has a gift for language virtually unrivaled among writers in English. His work is both tough and tender, primordial and new—always revealing the raw, instinctual drives that lure us together and rend us apart. 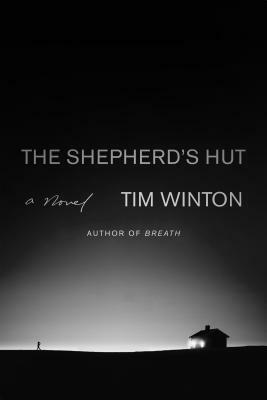 In The Shepherd’s Hut, Winton crafts the story of Jaxie Clackton, a brutalized rural youth who flees from the scene of his father’s violent death and strikes out for the vast wilds of Western Australia. All he carries with him is a rifle and a waterjug. All he wants is peace and freedom. But surviving in the harsh saltlands alone is a savage business. And once he discovers he’s not alone out there, all Jaxie’s plans go awry. He meets a fellow exile, the ruined priest Fintan MacGillis, a man he’s never certain he can trust, but on whom his life will soon depend. The Shepherd’s Hut is a thrilling tale of unlikely friendship and yearning, at once brutal and lyrical, from one of our finest storytellers. Tim Winton is widely considered one of the greatest living Australian writers. He has published numerous books, and his work has been translated into twenty-eight languages. Since his first novel, An Open Swimmer, won the Australian/Vogel Award in 1981, he has won the Miles Franklin Award four times (for Shallows, Cloudstreet, Dirt Music, and Breath) and twice been shortlisted for the Booker Prize (for The Riders and Dirt Music). He lives in Western Australia.